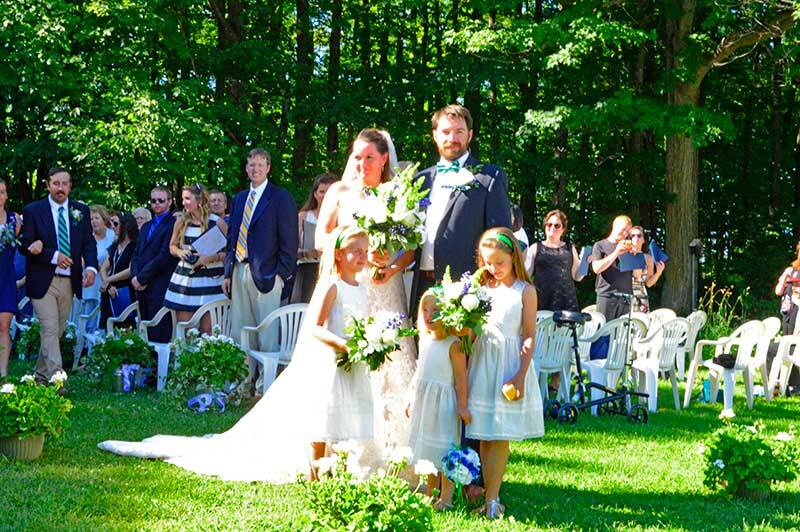 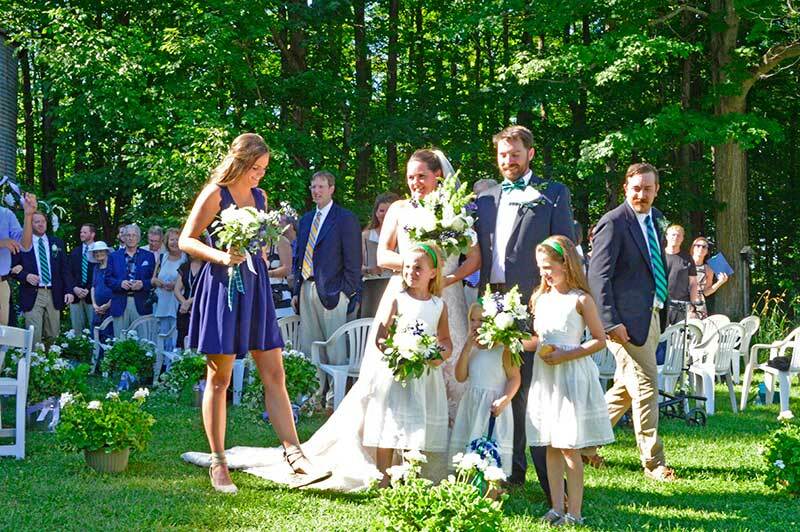 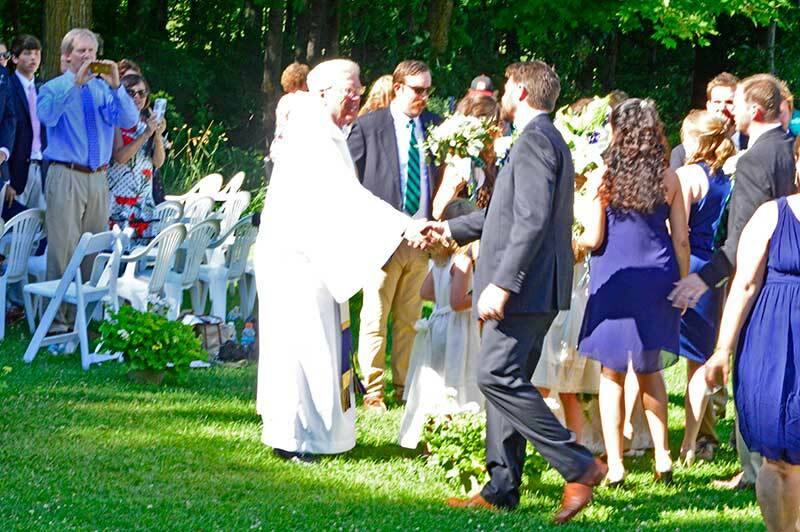 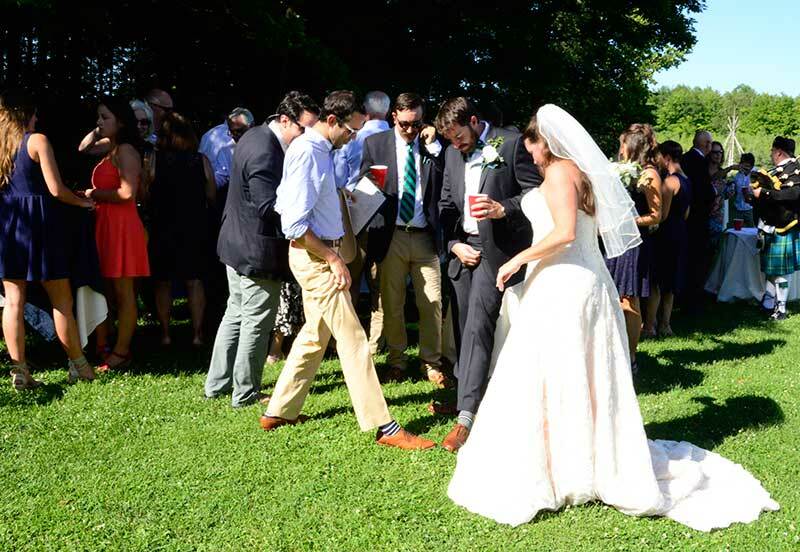 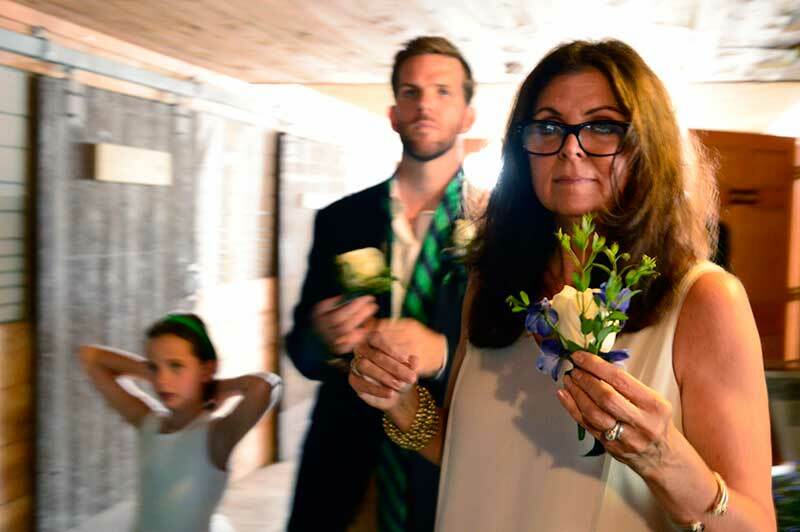 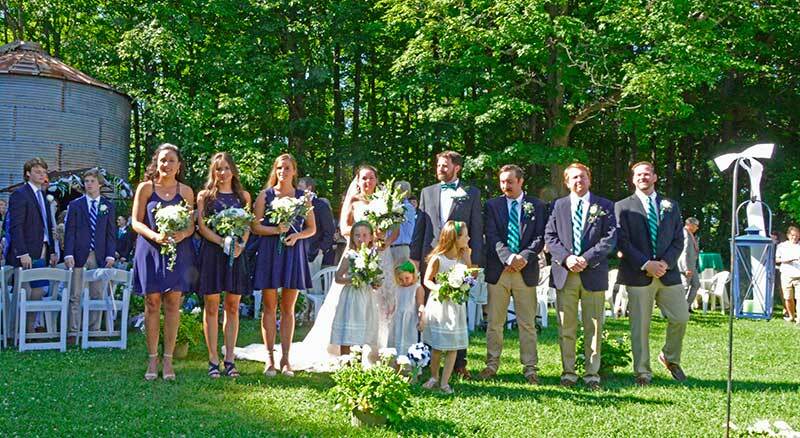 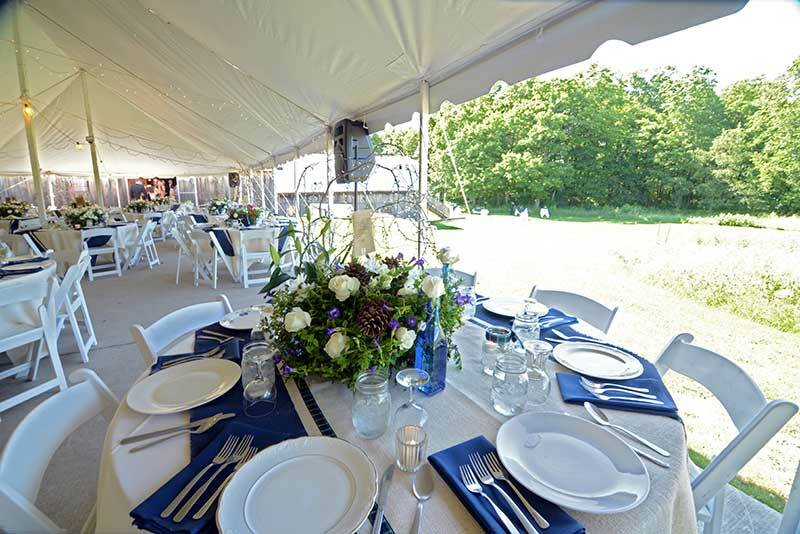 Alisa and I were privileged to attend a great celebration of the joys of summer at an outdoor wedding held on the grounds of Woodwalk Gallery in Egg Harbor. 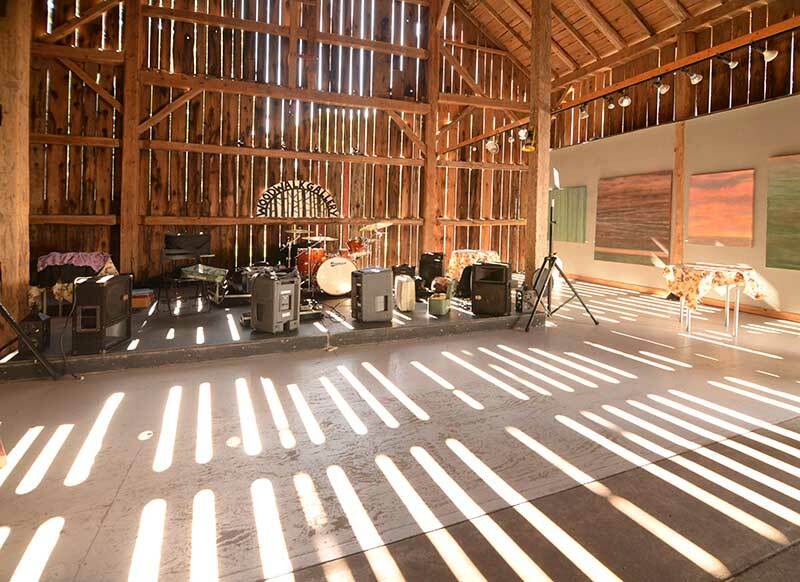 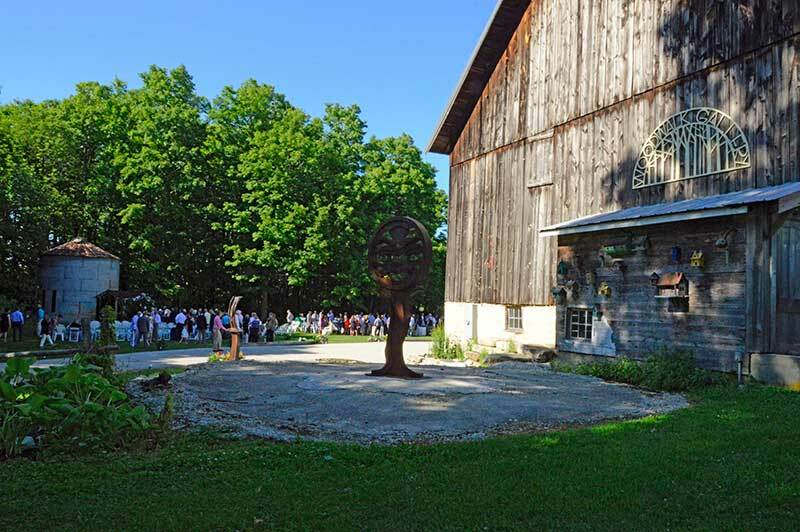 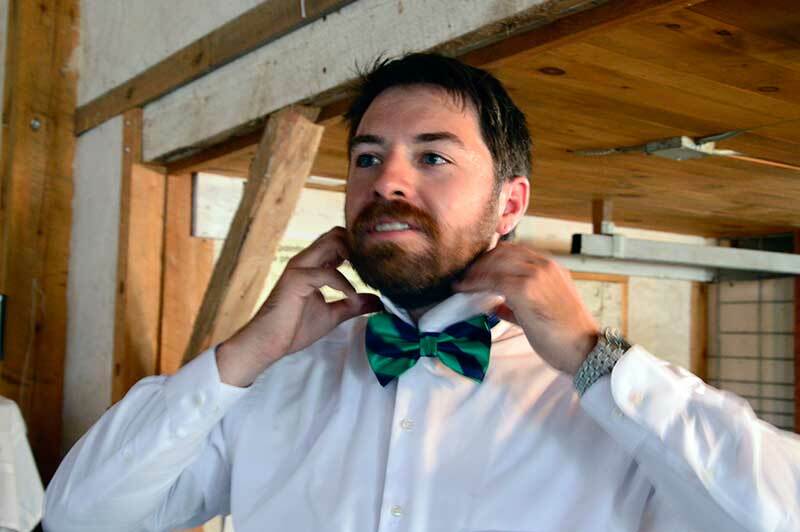 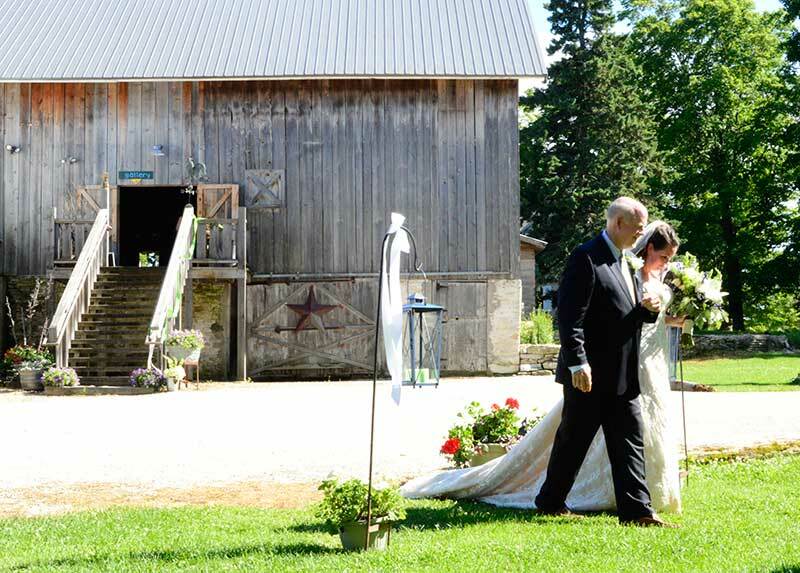 The restored barn provides a spectacular reception hall, stage and dance floor with a bar, restrooms and an adjoining fine arts gallery. 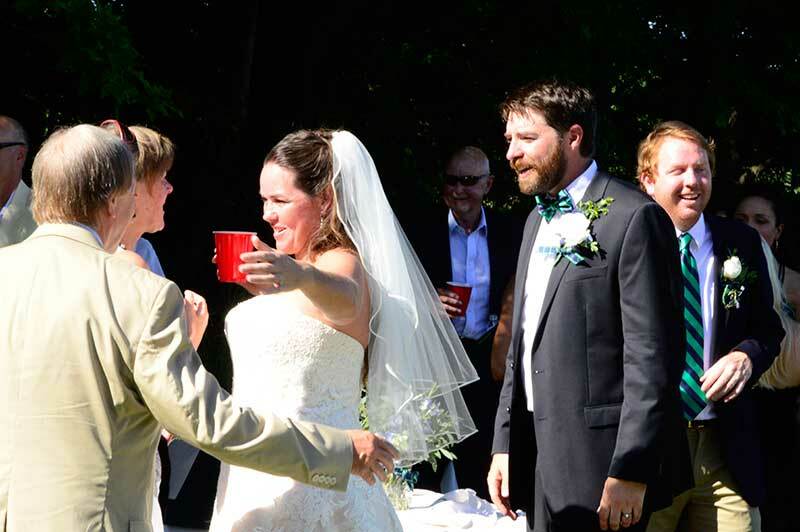 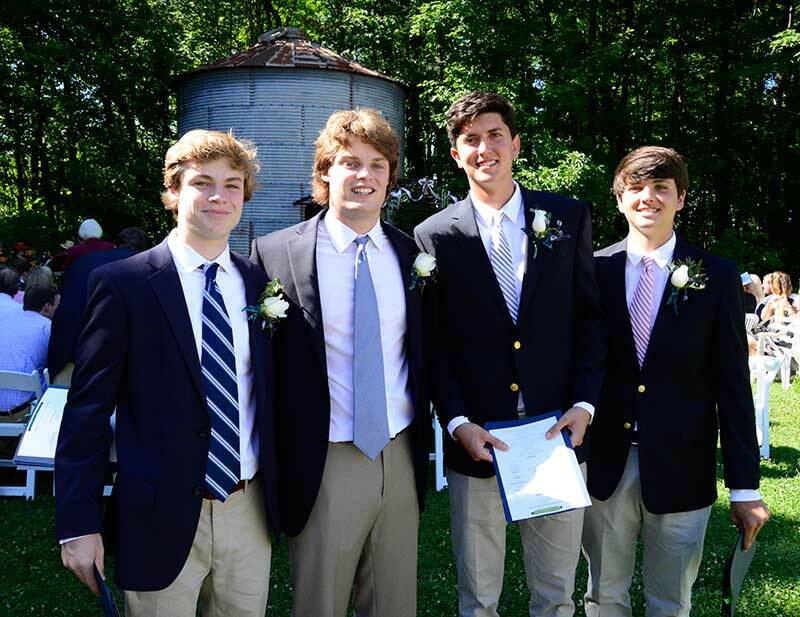 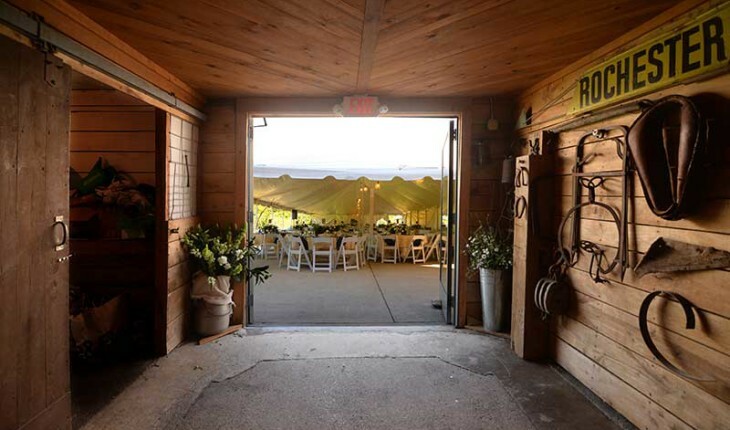 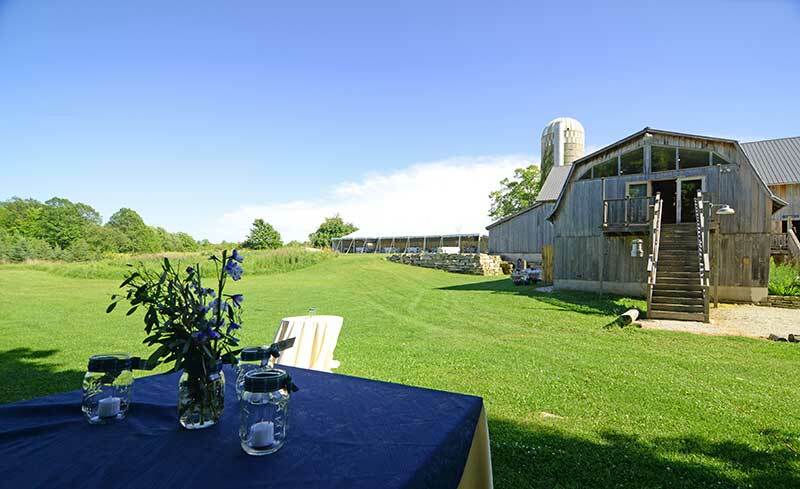 Wedding hosts typically erect a tent on the concrete pad that adjoins the barn for catering sit-down dining as the feature photo shows. 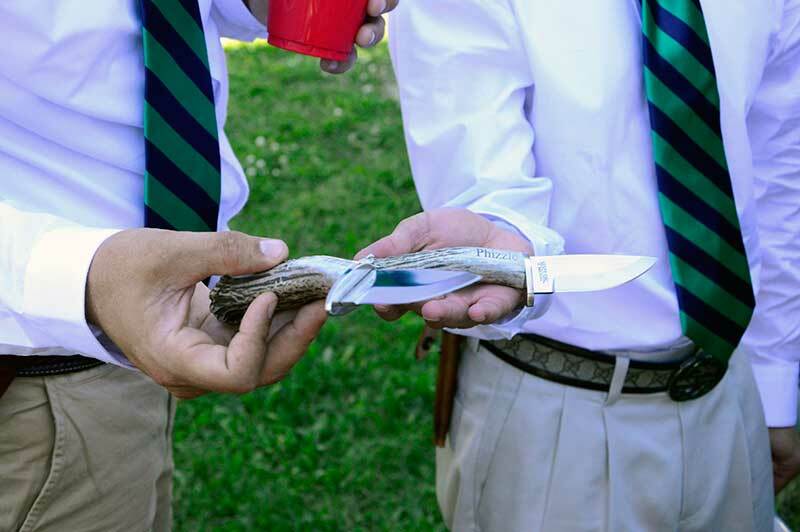 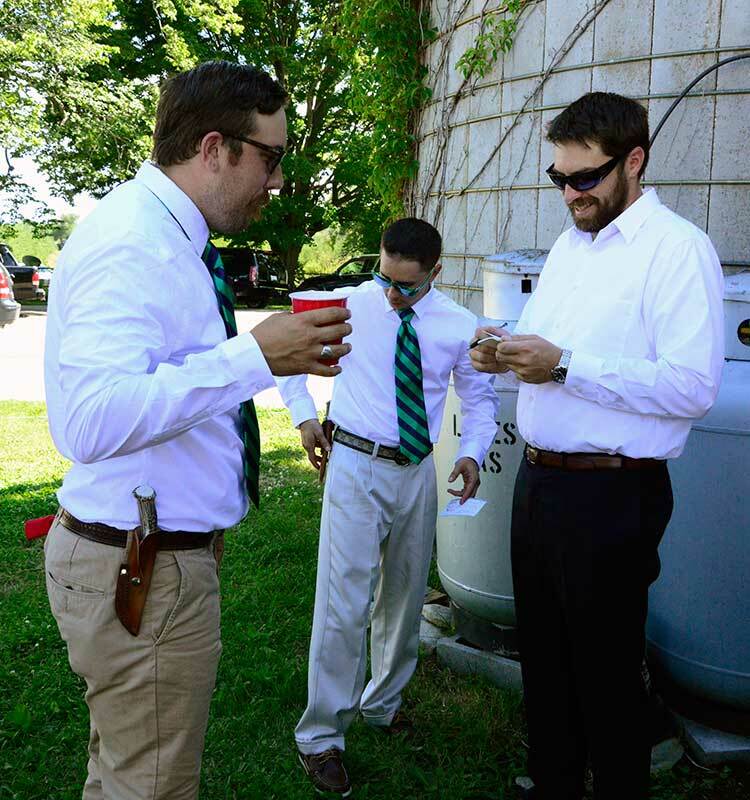 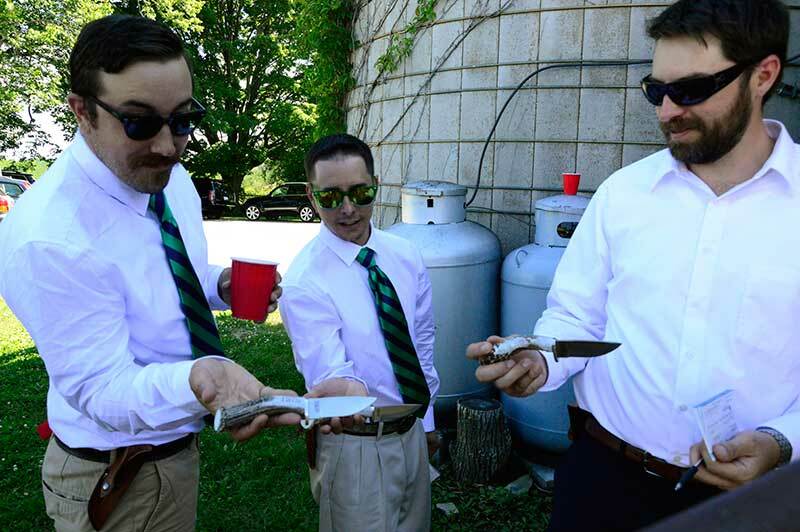 Early on, I connected with Austin and the groomsmen as they were spiffing up, showing me the keepsake, handmade knives that Austin had given each of them. 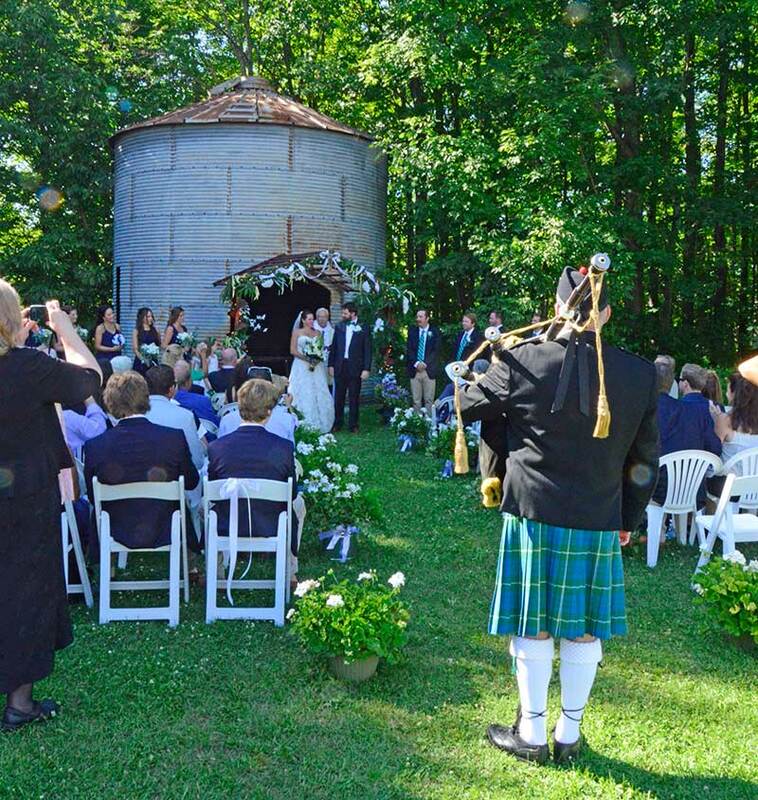 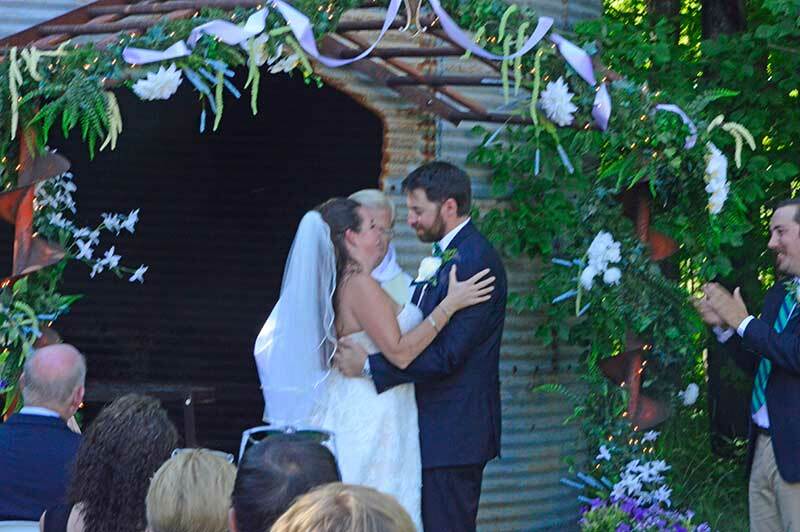 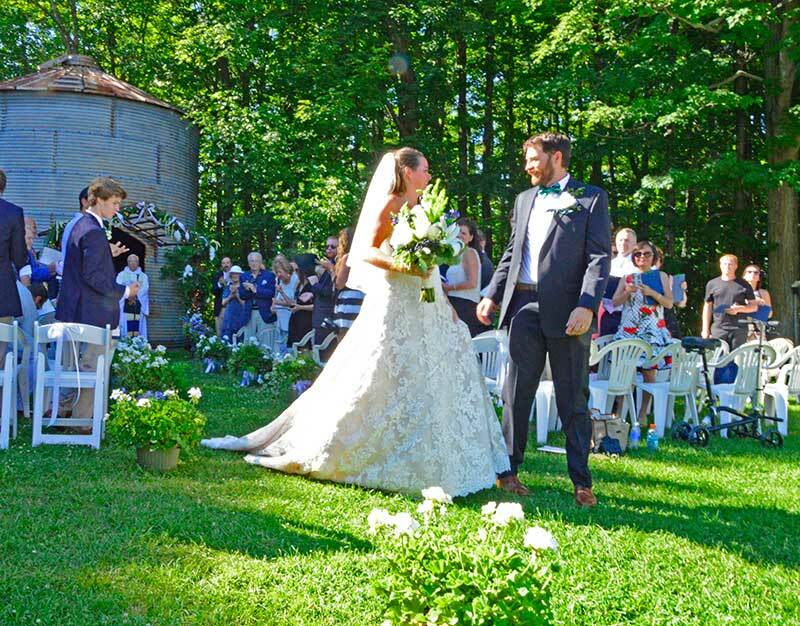 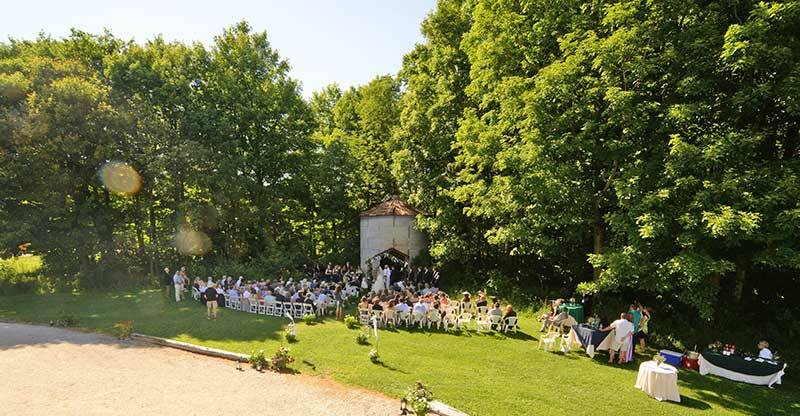 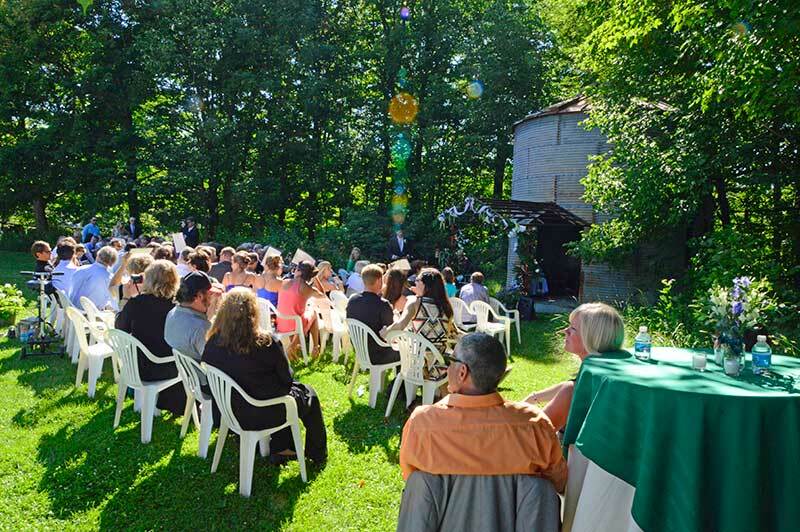 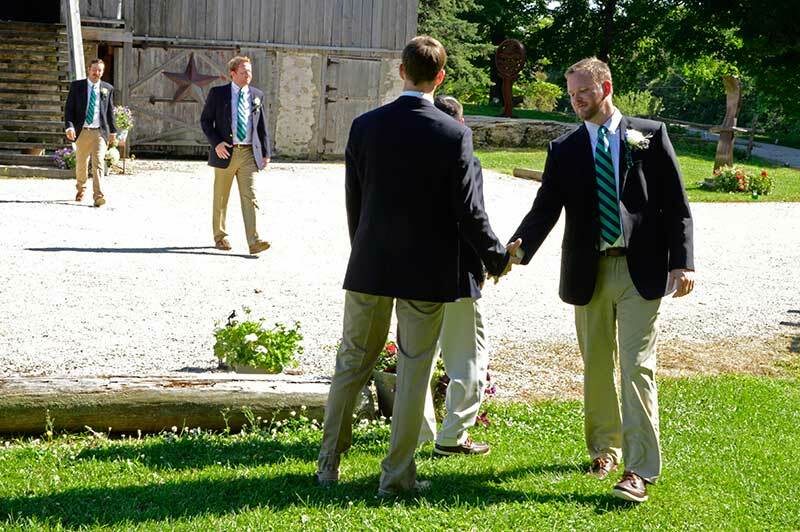 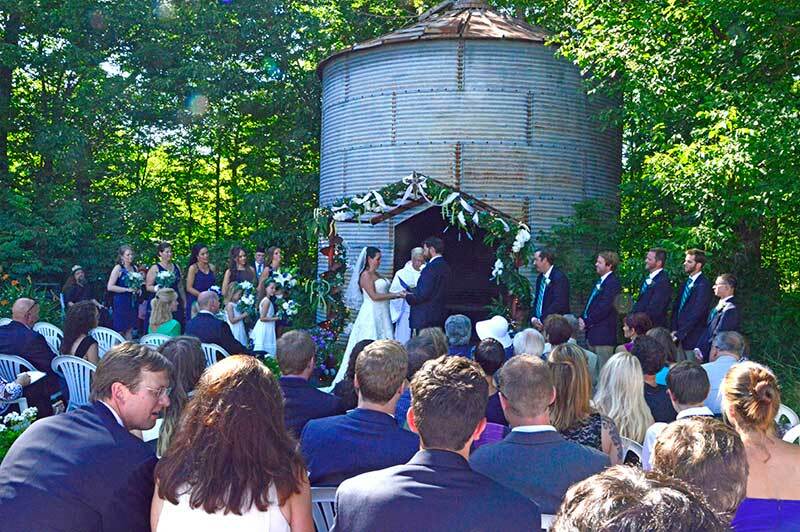 The ceremonies took place in front of the wedding silo, one of the most unique wedding spots in Door County. 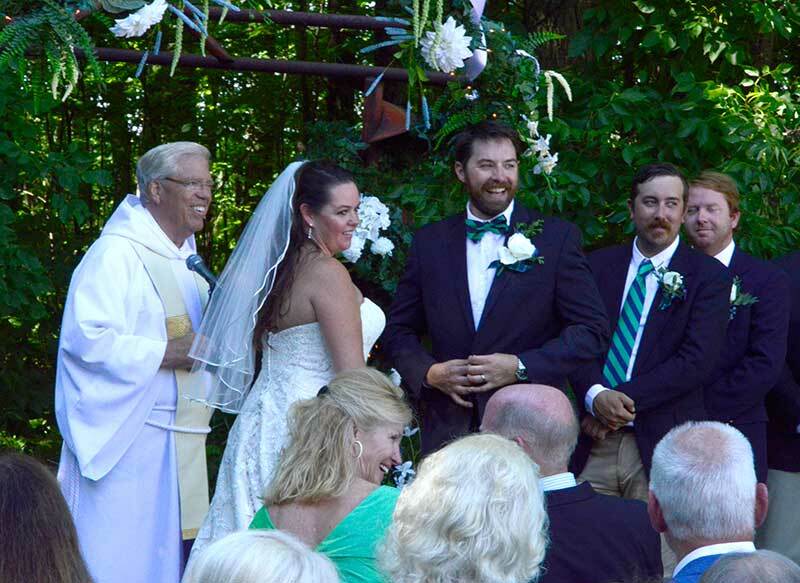 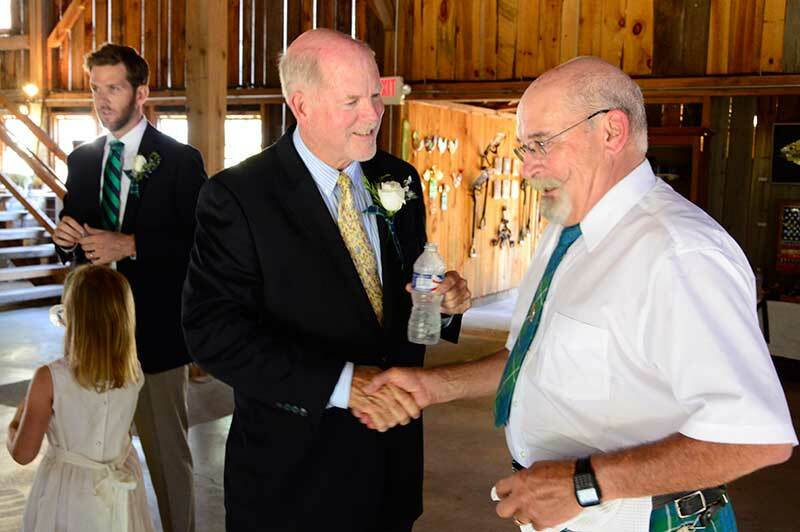 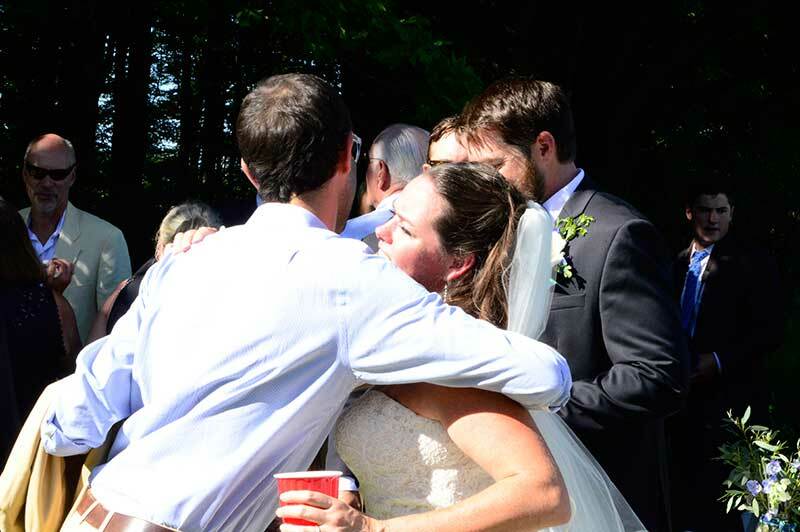 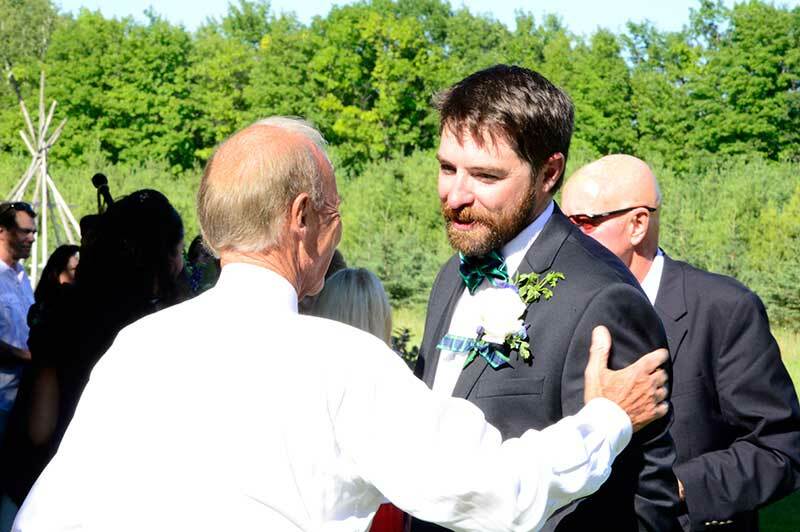 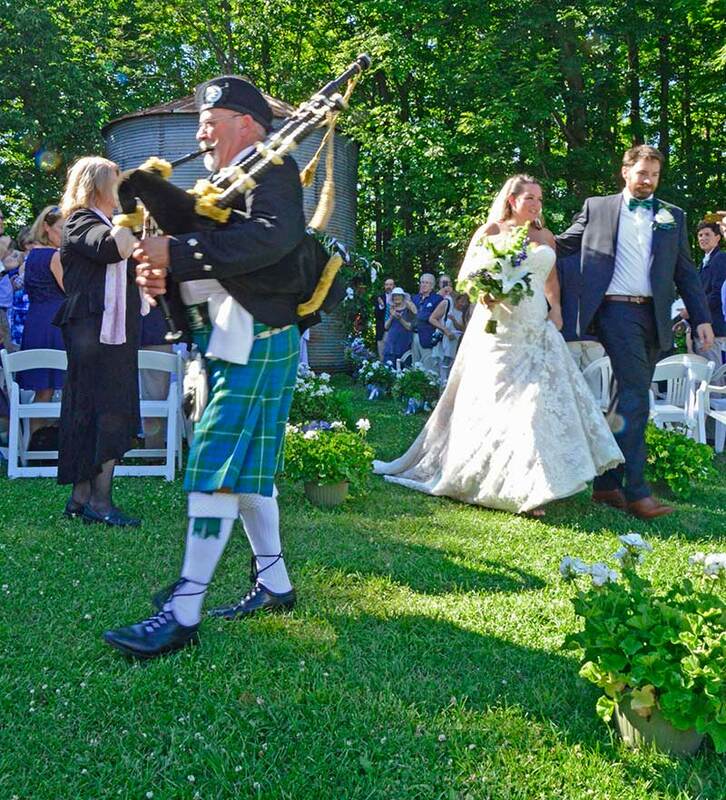 Afterward, the bride and groom were led forth to the sounds of the Highland pipes played by bagpiper Dennis Metz.